It's a challenging time for American Muslims, including kids. According to a recent study from Georgetown's Bridge Initiative, When Islamophobia Turns Violent: The 2016 U.S. Presidential Elections, American Muslims are 6 to 9 times more likely to experience violence than pre-9/11. That research shows that since the start of the presidential election season both victims and perpetrators include children and youth - shockingly, as young as 12. In Bloomington, Indiana, for instance, a 19 year-old college student violently attacked a Muslim mother dining with her 9 year-old daughter at a local restaurant. In Bronx, New York, several 12 year-old students physically assaulted a sixth-grade Muslim schoolmate during recess, punching her and calling her "ISIS." In Fresno, California, a 17 year-old (who has since committed suicide) threatened and ran over a Sikh man mistaken as Muslim. And, in Vandalia, Ohio, a seventh-grader threatened to shoot a Muslim schoolmate as they rode the school bus together. Additionally, the Georgetown study shows that American Muslims most often murdered are youth, aged 18 to 24. 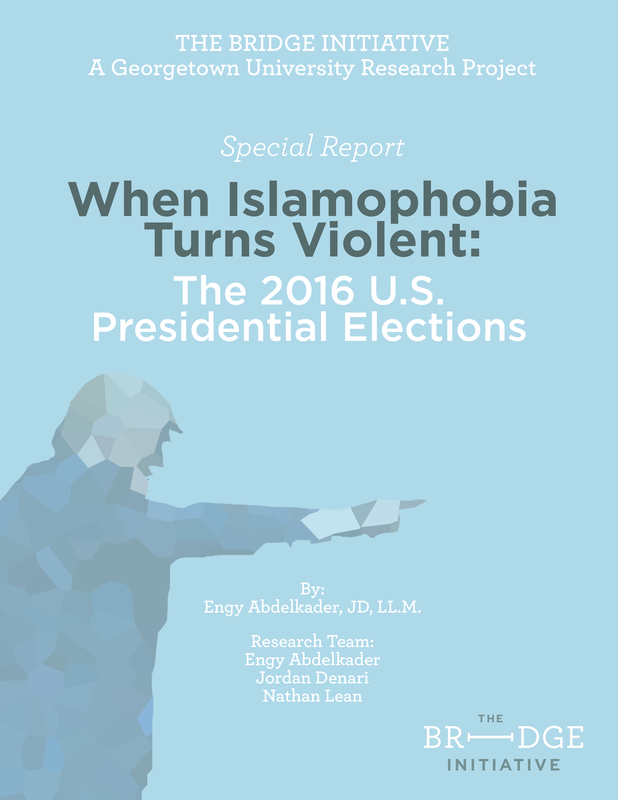 Alarmingly, as American Muslims suffer from dehumanization during a volatile election cycle, children and youth are suffering the violent repercussions. 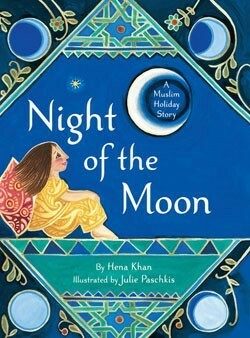 Hena Khan, 42, an American Muslim author, thinks children's books and increased religious literacy might be a partial answer. "A lot of the Islamophobic rhetoric out there tries to paint American Muslims as a threat, or as un-American somehow. It's a dangerous and distressing narrative, and an inaccurate one," Khan, who lives with her husband and children in Rockville, MD, explains. "I hope that my books help to counter these notions and to reinforce the idea that American Muslims are as American as anyone else, that we are valuable contributors to society, and that we have made this country our home since its founding." Khan, who holds a graduate degree in International Affairs from George Washington University, has published 13 kids books including Night of the Moon: A Muslim Holiday Story, Golden Domes and Silver Lanterns: A Muslim Book of Colors, and most recently, It's Ramadan, Curious George. Her most recent book comes at a critical time, when many American Muslim kids are struggling with social stigma, fear and rejection. 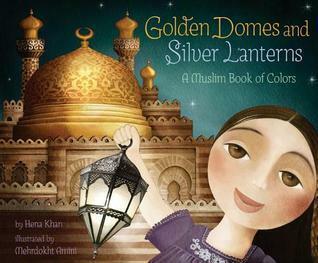 "Now, even Curious George has Muslim friends who he respects, and he happily shares in their traditions," reflects Khan. "I hope that helps to make the concept of Muslim friends 'normal' to more Americans who may not have any." The board book wasn't Khan's idea. Last year, Houghton Mifflin Harcourt, the official publishing company for Curious George, approached Khan about writing the newest addition in a beloved series. "The book is part of a series in which George celebrates Christmas, Hanukah, Halloween, St. Patrick's Day and Parade Day," explained Khan. "And the editor told me she thought it was high time he celebrated Ramadan." Ramadan is the Islamic holy month during which Muslims abstain from food and drink from sunup to sundown to help cultivate empathy for the plight of others, gratitude for one's blessings and self-discipline. A three-day-holiday, Eid-ul-Fitr, marks the end of the sacred month when Muslims celebrate with family and friends similar to Christmas and Hanukah. In It's Ramadan, Curious George, the iconic children's character teaches readers about Ramadan and Eid in an age-appropriate manner. George helps his friend Kareem keeps his first fast, partakes in the feasting at sundown and even makes his first visit to a mosque. In 2015, according to the Georgetown study, the American Muslim community suffered at least 54 acts of vandalism or property damage; 8 arsons; and 9 shootings or bombings, The overwhelming majority of those attacks targeted mosques, sending a symbolic message to the minority faith community that they are unwelcome (and potentially unsafe in the U.S.). Significantly, while each of these attacks is recorded as a single event, each may negatively impact so many more who experience the threat directly as a member of the immediate or larger community. So, when a mosque in the San Francisco Bay area suffers an anti-Muslim attack, hundreds of congregants are directly affected but so are thousands of other American Muslims who may subsequently learn of the attack and experience the harm or threat vicariously. Khan elaborates on Curious George's mosque visit, "In the story I have George go to the mosque to help make baskets for those in need, and that's where he gets into a little mischief when he adds people's shoes from a rack to the baskets. He and the man with the yellow hat also get Eid gifts from Kareem and celebrate the holiday with their Muslim friends, who are from diverse backgrounds." 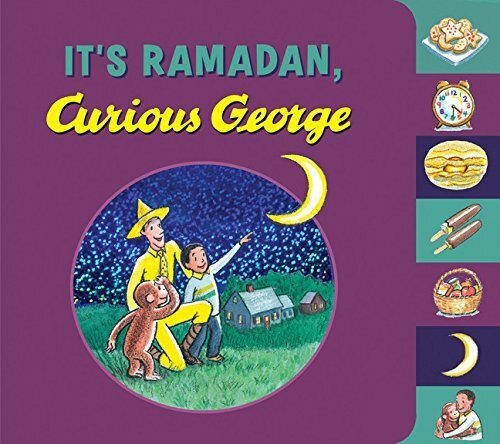 It's Ramadan, Curious George was published last month in advance of Ramadan, which began this week. "The reaction has exceeded our expectations in a wonderful way," states Khan. "Sales have been fantastic and reviews have been heartwarming." To help overcome Islamophobia and foster mutual respect, acceptance and understanding, teachers, parents, community leaders and librarians can use books like these to educate children about Muslims while enhancing religious literacy. Around the country, a number of American Muslim moms are already introducing Ramadan to their children's public school classrooms during special visits. They read age appropriate books like Khan's while leading related crafts and activities - in similar fashion to Christmas and Hanukah. Now, they have one more book in their toolbox for promoting more inclusive classrooms and hopefully, a safer America for all. 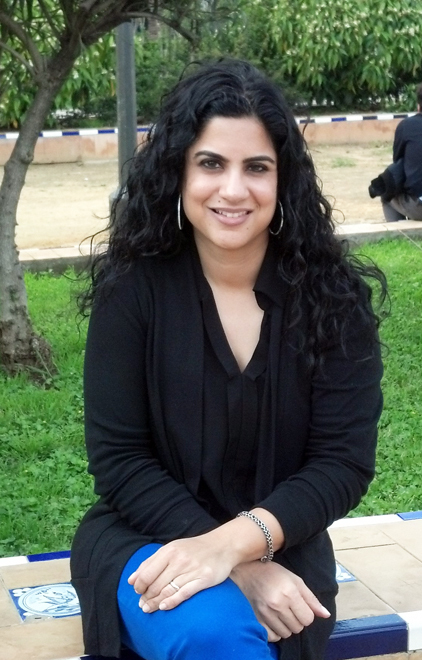 Engy Abdelkader is Assistant Director of the Bridge Initiative at Georgetown University where she teaches about national security and civil liberties in the post 9/11 era.